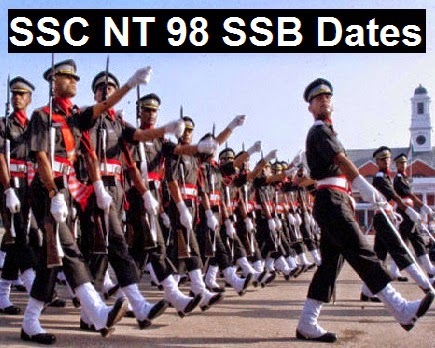 Applied for Indian Army's SSC NT 98 and looking for SSB interview dates? Indian Army has published the dates of SSB interview today. Check out the interview dates of SSC Non Tech 98 course for men which will commence in October 2013. Indian Army has released the notification for Short Service Commission 98 course for men for its non technical branch. Mostly all recommended candidates will become administrative, logistics and accounts officers of Indian Army. Officials of Army have published the list of SSB interview dates for SSC Non Tech 98 course for men. All names appearing in the list are shortlisted according to the academic marks and educational qualification attained by applicants. Earlier SSB interview dates of SSCW Non Tech 12 course have been announced. After it, Army has released SSC 98 course dates. Allahabad SSB center of Indian Army has not yet published SSB interview dates of SSC NT 98 course. Most probably in this week Army will announce the dates for this center. Bangalore Services Selection Board also has announced SSC NT 98 course SSB dates today. Total 544 candidates are shortlisted for interviews at Bangalore SSB board. First SSB interview will commence on 27th May 2013 and left over candidates can appear on 03rd June 2013 for SSB interview testing. Bhopal SSB board has updated the schedule of SSB interviews for upcoming SSC Non Tech 98 course of Indian Army today. Total 822 candidates will appear in Bhopal center and test their luck of becoming officers in Indian Army. First batch of SSC NT 98 course interviews will start on 25th May 2013. There are total five batches of SSB interviews in Bhopal SSB center. One bath is reserved for the left over candidates. All left over candidates will have a chance to appear in SSB interviews on 07th June 2013.